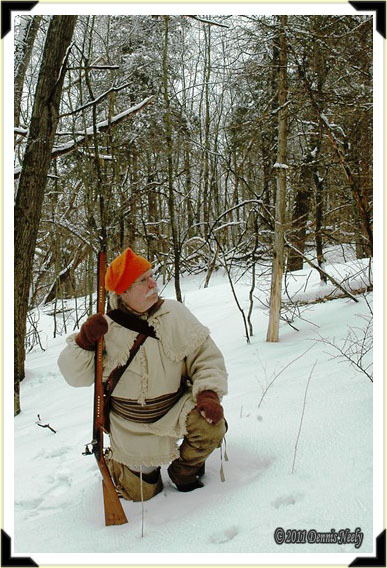 On a crisp January afternoon, a traditional woodsman kneels in the snow, remaining motionless. A fox squirrel chattered in a nearby red oak, attracting the hunter’s attention. Old Northwest Territory, near the headwaters of the River Raisin, 1794. 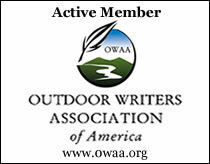 This entry was posted in Snapshot Saturday and tagged Dennis Neely, historical trekking, Mountain Man, Native captive, North West trade gun, Northwest trade gun, trade gun, traditional black powder, traditional black powder hunting, traditional blackpowder, traditional blackpowder hunting, Traditional Woodsman. Bookmark the permalink.